BoA will be returning to the K-pop scene for the first time in 5 years with her 6th full length album in August. strong expression brings out her usual fierce appeal. BoA will begin promotions upon her album’s release on August 5th. BoA has been frequently updating her Twitter with photos from her final preparations for her near comeback. on a rather familiar head piece. With BoA’s upcoming 10th anniversary since her debut, her comeback album will be dropping in stores on August 2nd! Singer BoA recently shared a beautiful photo of her together with her mother which is drawing a lot of attention from netizens. 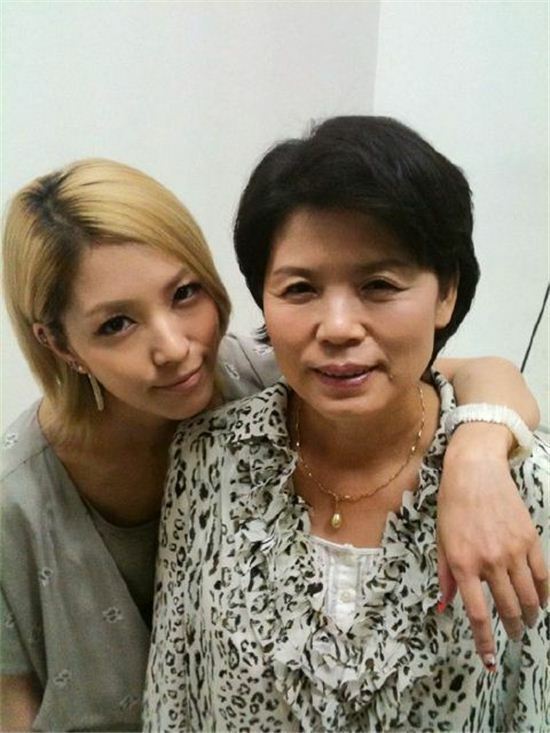 On the 28th of July at 5:00pm KST, BoA shared on her personal twitter account a picture of her mother. In the photo, it showed how BoA looked like her mother. Their nose and eyes are similar, It is sure that BoA inherited her good looks from her mother. have inherited her beautify from her mother". Netizens seems to envy the good genes among the mother-daughter. Meanwhile, BoA has released her new song "Game" after 5 years of hiatus in the kpop industry, she will be releasing her 6th full album on the 5th of August. Asian pop sensation BoA, set to make her local music comeback for the first time in five years, has given fans an update on her recent life. The songstress posted a comment on her Twitter webpage (http://twitter.com/BoA_1105) today saying, "It feels great to be waking up early in the morning. I'm working on changing the pattern of my lifestyle since I'll be returning to the music stage." "BoA is going over everything thoroughly for her comeback," said an official from her agency SM Entertainment, asking for fans to support the singer for her upcoming album. BoA is one of the most popular K-pop stars in the international scene. She made her debut at the young age of 13 and her upcoming sixth full-length album "Hurricane Venus" will mark the ten-year anniversary of her singing career. She recently released the music video for her song "GAME" as well as unveiling two tracks from the new record. "Hurricane Venus" will go on sale on August 5. Member of the Beat Freaks and The Geminiz, Rino Nakasone has been garnering quite a lot of attention lately for her work with SM Entertainment artists. Just several days ago, her performance of Super Junior’s No Other attracted many video hits from netizens. But that’s not the end of her. She recently made another appearance with yet another SME artist–BoA! Earlier today, BoA tweeted, “I’m practicing hard for my first comeback performance^^ But, Rino unni and I are wearing the same outfit while dancing^^.” Along with the tweet, BoA posted a picture of herself with the amazing choreographer Rino Nakasone making cute poses at the camera. I’m personally a huge fan of Rino Nakasone so I’m stoked to see what BoA has to offer on her comeback stage! Are you just as excited as well? p.s sorry αλλα δεν μπορούσα να δω το post σου, γράφει κάτι αλλαμπουρνέζικα!! 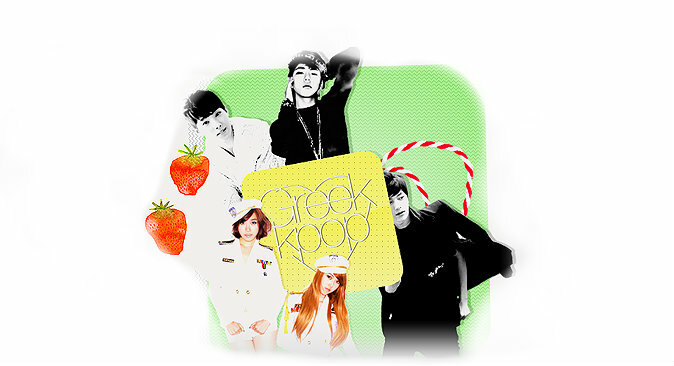 apla egw postara to teaser pou edeixan sto music bank!! Earlier today, BoA released a picture from the set of her recent W Korea photoshoot. It has been recently revealed by SM Entertainment that BoA will debut in a Hollywood movie! it will showcase her powerful dance skills. The director of the movie is none other than Duane Adler, who is known for his terrific works such as Step Up and Save the Last Dance. According to a representative, Adler already had BoA in mind as he wrote the movie. Furthermore, producer Robert Cort, who has worked with 55 movies, including Jumanji and Runaway Bride, will also be participating in the production of the movie. Adler is currently looking for a lead male, and the movie will begin shooting early next year in the United States. Meanwhile, BoA will make her comeback in the k-pop industry with the release of her comeback album, Hurricane Venus, on August 5th. Stay tuned to allkpop for further news regarding BoA’s Hollywood movie debut! BoA revealed the physical appearance of her upcoming album, Hurricane Venus. It’s just a day away from her release date, so she’s doing some last minute teasing. It’s been five years, so I think the fans can wait one more day. Can you guys believe she’ll be on Music Bank this week? It’s appears that soon-to-comeback queen of K-pop is tweeting in all her spare time. In the last two weeks BoA has consistently uploaded pictures of herself and with other people, including Super Junior’s Siwon, her mom, and choreographer Rino Nakasone. Today, BoA posted a photo of herself leaning on the shoulder of a long-time friend U-Know Yunho. office!! I’m getting drained practicing for my first performance..
BoA seems to be endlessly rehearsing to perfect her upcoming comeback stage on Music Bank this Friday for her 6th album Hurricane Venus. Yunho, on the other hand, is probably rehearsing for the SMTOWN LIVE ‘10 concert. Syggnwmh kiolas.... alla apo pote h BoA einai toso konta me ton Yunho???? Giati emena oi gnwseis mou, mou lene oti h BoA htan kollhtari tou Jaejoong kai ekane parea me ton Yoochun.... O Yunho pou kollaei???? ?Apla exw na pw oti h SM kanei oti 8elei.... oti 8elei!!!!! emmmm.... ti na kanoume... tous teleiwse o Jae!!!!!! Date: 2010-08-05 11:31:00PM Hello. This is BoA. Have you been well? I have released an album in Korea after a very very long time. I am going to perform album promotions that are worthy of how long you have waited for me. Starting tomorrow I will be appearing on Korean TV for the first time in a while ^^ How fun!! Coming back to the Kpop scene after 5 years, singer BoA will not be appearing on variety shows. It was announced recently that Asia’s star, BoA, will be making a special cameo on the upcoming SBS drama, Athena: Goddess of War. BoA will be starring as a top female singer who is held hostage by a group of terrorists. One of the main male roles in the drama, Jung Woo (who will be played by actor Jung Woo Sung), will be aiding BoA as her bodyguard. BoA has been garnering hot attention lately, especially after the news that she will be playing a main role in Duane Adler’s upcoming dance flick. The recent news about her cameo on Athena is further adding onto the hype. The filming for BoA’s special cameo on Athena will take place this month. The drama will air this November through SBS. kyaaaaaaa!! δεν μπορώ να περιμενωωω!! BoA reveals her gratitude towards DJ DOC’s apology. DJ DOC had appeared on the show that day for a surprise appearance to apologise to BoA. DJ DOC has received criticisms from fans after member Lee HaNeul was seen throwing the flower bouquet given to him by BoA during their appearance on KBS Music Bank on 13th August . On the show that day, and BoA had won #1 on the show that day with DJ DOC next up for the #1 spot. BoA was surprised by the SM Entertainment artists in the middle of the concert. Super Junior, SNSD, SHINee, U-Know Yunho, Changmin, and the rest of the SM Town family performed at the 2010 SM Town Live Concert on the 21st of August at the Seoul Olympic Stadium. After her performance, a video appeared on the large screen showing her memories from her debut stage until, after that, SNSD, SHINee and Super Junior members went on stage with presents for BoA. BoA will be having her 10th Year Anniversary after debut on the 25th of August, and SM Entertainment family prepared a special event to celebrate BoA's 10th Anniversary. Super Junior's Eunhyuk went directly and celebrated with BoA and Minho of SHINee gave her a message and afterwards burried BoA's face in the cake causing laughter from the audience. Fans showed their love for BoA as well chanting, and showing slogans celebrating her 10th year anniversary. It has been 10 impressive years BoA has been in SM Entertainment and she celebrated with her loving SM family. BoA said, "I debuted in 2010, and 10 years passed by so quickly, I will work harder to move steadily in the next 20 and 30 years". On stage, the singers sung "Number 1" to celebrate BoA's anniversary. Being the mother of a pianist (Kwon Sun Hwon), a music video director (Kwon Soon Wook), and a world star (BoA), the book garnered high interest even before its release with many curious about her life and thoughts. The book contains the first half of her life along with stories of how she raised her three successful children. There are also a series of never before seen photos of BoA and hidden stories to attract the attention of readers. αλλά είναι κάτά του η μάνα /πατερας να γραφει βιβλία για το πως μεγάλωσεταδιασημα παιδια της/ου!! BoA was recently caught up in a controversy with SHINee fans for “spoiling SHINee’s comeback” through her Twitter, causing her to eventually set her Twitter account to private on September 29th. The problem lies in that SHINee fans were displeased with BoA spoiling the release of SHINee’s repackaged album and comeback date. Various community sites began spreading rumors that SHINee’s comeback date was set earlier than planned due to BoA’s spoiler, causing her to receive many hateful replies from netizens. Despite BoA’s clarification, SHINee fans did not stop their attacks, causing BoA to eventually set her account to private. BoA has been impressing the nation with her newest track “Copy & Paste” but even Korea’s best singer is sparking some controversy. Her new song’s choreography has a part where she spreads her legs and bends down. This move has become the centre of debate because it’s been deemed as ‘too sexual’. EDIT απο EruTaiyou : το προηγουμενο link ειχε διαγραφει και το αντικατεστησα.